Congratulations to the following SKF members who were presented with their certificates for their next senior Dan Grades at the recent Meadowbank Championships. 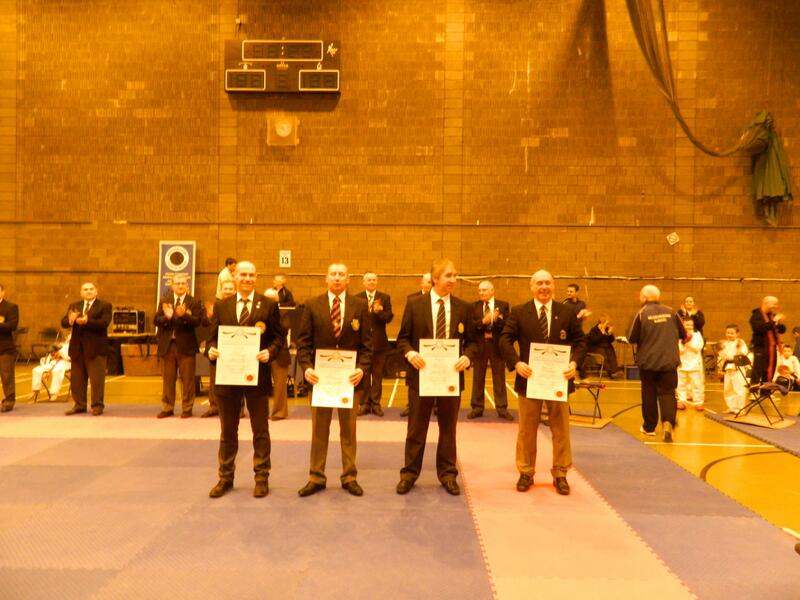 Paul Connor to 4th Dan, Andy Elliott and Stuart McLeod to 5th Dan and Charlie Lindsay to 7th Dan. This entry was posted on Monday, March 4th, 2013 at 3:53 pm and is filed under SKF. You can follow any responses to this entry through the RSS 2.0 feed. Responses are currently closed, but you can trackback from your own site.